Location was good to walk both new and old city. It was quiet at night which is great. Bed was comfortable. There were cheap bottled water and can beer available, was great! The room was not finished well. The bathroom door didn't shut and the room/hall/corridors were very tatty. 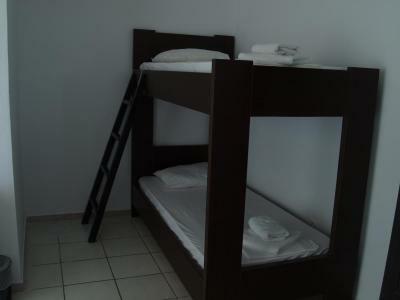 I have stayed in far better hostels. The front desk was nicely done and the staff were very friendly and helpful but couldn't wait to check out of such a gritty room. Very very nice personnel at the reception, hotel can’t be better located at Rhodos with beach, restaurant, clubs and much more - only minutes away or exactly nearby. 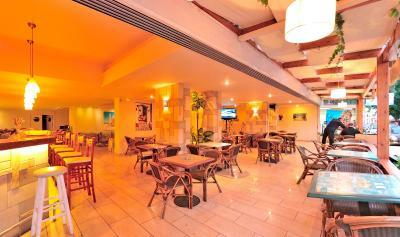 Will definitely come back and recommend CARINA hotel. Great value for money. Really helpful and friendly stuff especially lady/owner at the front desk. 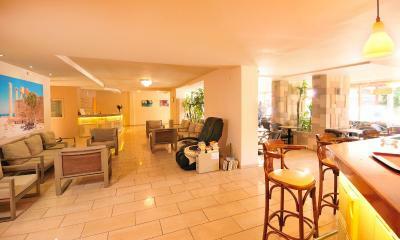 Great location and walking distance to the beach, shopping, old town. Breakfast ok.
Bonne literie, emplacement idéal pour visiter rhodes Personnels sympathiques et propreté de la chambre. + mukava sänky + iso huone (1 hh oli vaihtunut 3 hh) 😀 + Wifi ok huoneessa (7.krs.) + mannermainen aamiainen normi (sämpylä, leikkele/juusto, joskus kasviksia, joskus hedelmä, mehua, kahvi/tee, jogurttia, muroja) + ilmastointi sis. huonehintaan + hyvä hinta-laatusuhde + yöpyisin uudestaan + ravintolassa maukas ruoka, söin kolmena päivänä + lentokenttäbussin (30-40 min, 2,60€ suunta) pysäkki lähellä (paluumatkalle lähtiessä rantabulevardilla pysäkki) + RODA bussiasemakaan (lentokenttäbussi) ei kaukana (n.10-15 min.kävellen) I would be happy to return to the hotel. 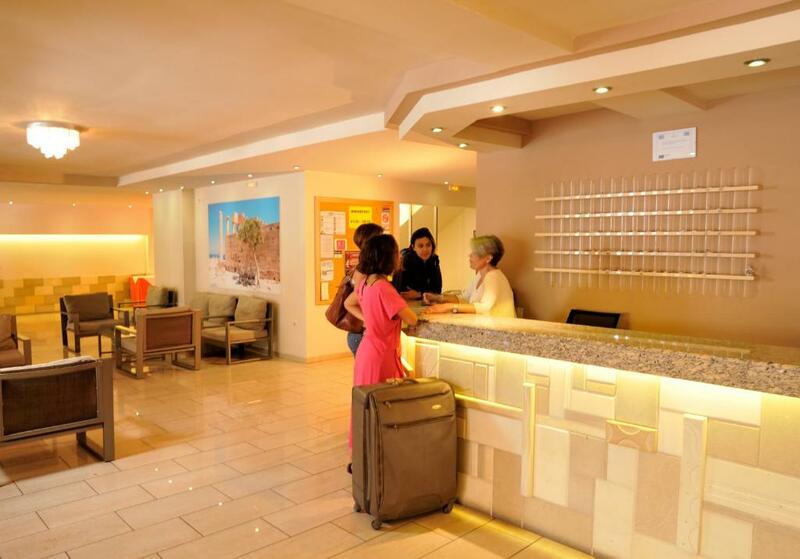 Carina Hotel This rating is a reflection of how the property compares to the industry standard when it comes to price, facilities and services available. It's based on a self-evaluation by the property. Use this rating to help choose your stay! 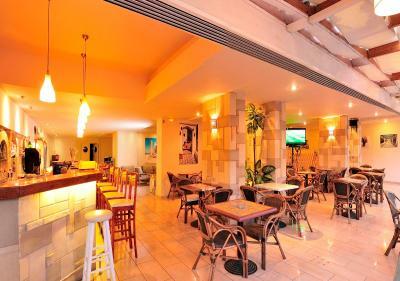 Centrally in Rhodes Town, Carina Hotel is a 3 minute walk from Elli Beach and has a restaurant and free Wi-Fi in public areas. 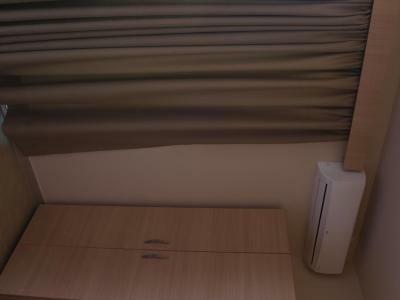 The air-conditioned rooms have a furnished balcony. Featuring tile floors and floor-to-ceiling windows, all rooms at the Carina have a fridge. 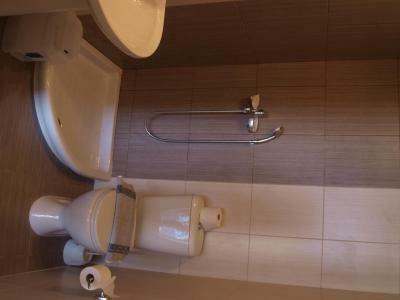 Each offers a private bathroom with shower and toiletries. 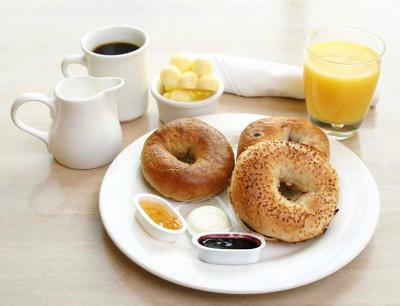 Breakfast, lunch and dinner are served at the on-site restaurant. The bar provides coffee and cocktails. 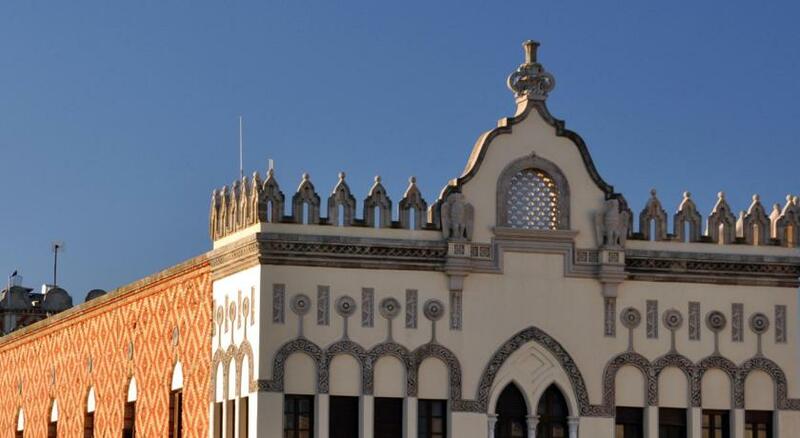 Traditional taverns are within a 5 minute walk from the hotel. Rhodes Port is at less than half a mile and regular ferry connections operate to islands such as Symi and Patmos. Diagoras Rhodes International Airport is 11 miles away. 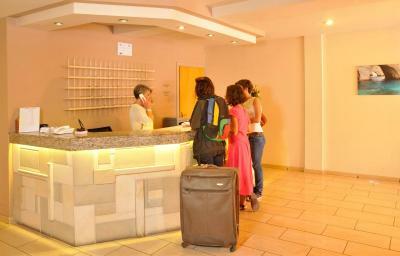 The staff at the 24-hour front desk can arrange car and bike rental. 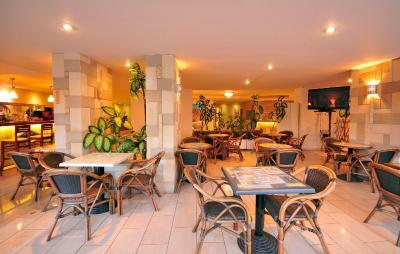 When would you like to stay at Carina Hotel? 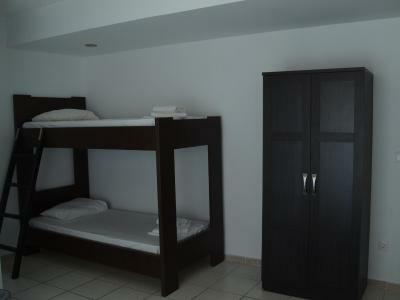 -private bathroom with shower and toiletries. 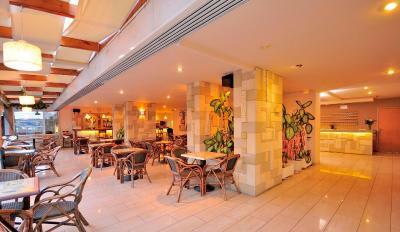 This air-conditioned room is located either on the ground floor or the 8th floor. 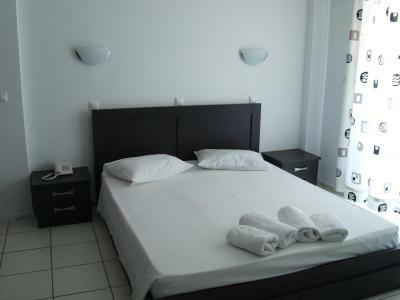 This triple room has a tile/marble floor, patio and air conditioning. House Rules Carina Hotel takes special requests – add in the next step! Carina Hotel accepts these cards and reserves the right to temporarily hold an amount prior to arrival. the internet is running slow, bad internet connection. Breakfast was sadly weak. 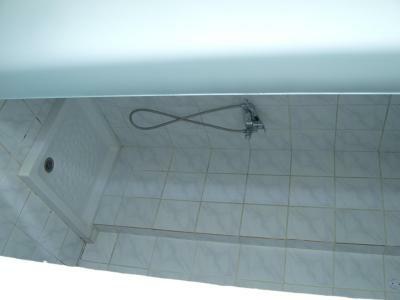 Shower didn’t have a curtain or sth like that. Room basic but ok for the money. Good location. Fridge didn't close so leaked water on floor. Breakfast was non appetising and really basic. The hotel charged my credit card without notice with the full amount of the reservation 4 days prior to my arrival at the hotel, even though I booked a room with free cancellation and no prepayment. When I arrived at the hotel, they did not give me the room I have booked, with a balcony and sea view, but a ground floor room with no view. When I complained, they told me to go and see another room on the upper floor. They gave me the keys and told me to go see it myself! The room was a bit better than the one on the ground floor and I got this. 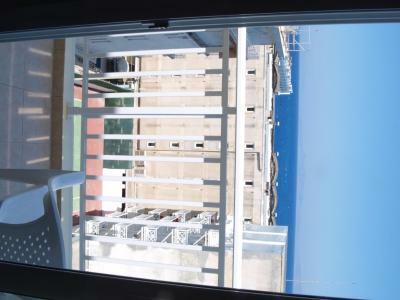 When I asked about the sea view, I was told that I was wrong and that their hotel does not have view at the sea. The bathroom was moldy. There was no TV on the room. There was no parking. The Wi Fi had bad connection. Breakfast was poor. Clean room and air-conditioning. Good location.